Giles was born around 1345 when Edward III was on the throne. Because Sir John died when Giles was only twelve years old, he was placed under the guardianship of Simon de Longbrooke and it was his daughter Isabella de Longbrooke whom Giles subsequently married. Longbrooke is not far away from Adeston and Simon was no doubt a friend of the family. Joan of Adeston appeared to leave most of Giles’s education to the Longbrookes. 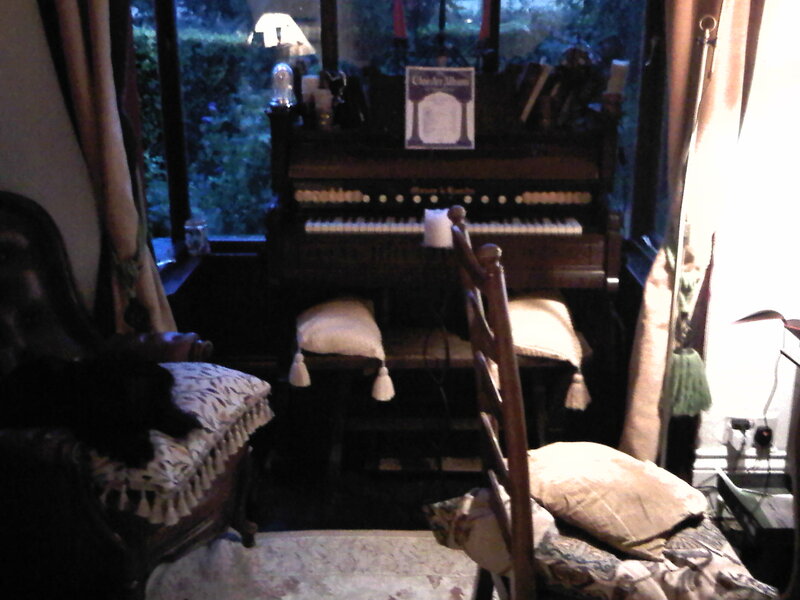 Giles, who was sometimes referred to as Gilbert, often visited and stayed at the house of his guardian. He learnt English, French and Latin, but little else in the academic line. There would have been a basic learning of the law as he would find this necessary while managing his estates in the future. Sir John wanted his son to have the best education and the ability to handle their lands and fortune. If Sir John had died of the plague or similar, he would surely have had time to speak to his family and his friend Simon de Longbrooke in order to establish some future for his family. What a sad and moving bedside conversation that would have been. John wanted his son to continue the same connections within society and court that his cousins and family did. These connections were substantial and impressive and would serve to ensure his future success as a country gentleman and prospective magistrate. The young Giles and Isabella spent a good deal of time together and it is not surprising that they ended up married. Isabella was co heir of her fathers estate and their fortunes combined gave them considerable power. Lady Joan Prideaux remained Lord of Adeston manor even during her second marriage. She married John Mules, one of the de Moels of Cadbury, another ancient family. It is highly likely that a strong sense of duty to the Adeston estate ran through her blood. She was brought up with the knowledge that the survival of many families were dependent upon the smooth running of the large estate. She gave over control of the estate in 1372, when Giles was 27 years old. He had been spending the intervening years wisely, working with Prideaux cousins at Dartmouth, building up the family fortunes. He was involved in import and export, tin and wool out, wine and fancy goods in. Times were changing rapidly, bringing low prices and high wages. The villeins who could at one time be relied upon to farm estate lands, were leaving the area or mining tin. Lords of the manors were having to lower rents and give tenancies to a lower calibre of farmer. The plagues had decimated the population and gave each person more choices than they had had for years. Children were no longer following their parents and pursued a different and perhaps more prosperous life. The Lords of the manor felt that it made sense to pursue shipping and trade in order to keep the family estates intact. Giles did a good job and was selected to act as Burgess and so became MP for Totnes in 1368, the 42nd year of the reign of Edward III at the House of Commons. Indeed members of the Prideaux family were associated with Dartmouth for over 600 years. Giles must have felt incredibly proud to be summoned to Parliament at the age of 27, the exact age his grandfather Sir Roger was so summoned. This was also the time of chivalry and romantic stories. Edward III had tried unsuccessfully to revive the story of King Arthur and the Round Table. Chaucer was popular at this time too. Chaucer visited Dartmouth in 1373 while he was visiting a friend of his, John Hawley. Hawley was a member of the famous and prosperous sea faring family there and would inevitably have known Giles Prideaux. Perhaps if we reread Chaucer, we can see the likeness of an ancestor. The famous stories of Chaucer only came together in 1386. 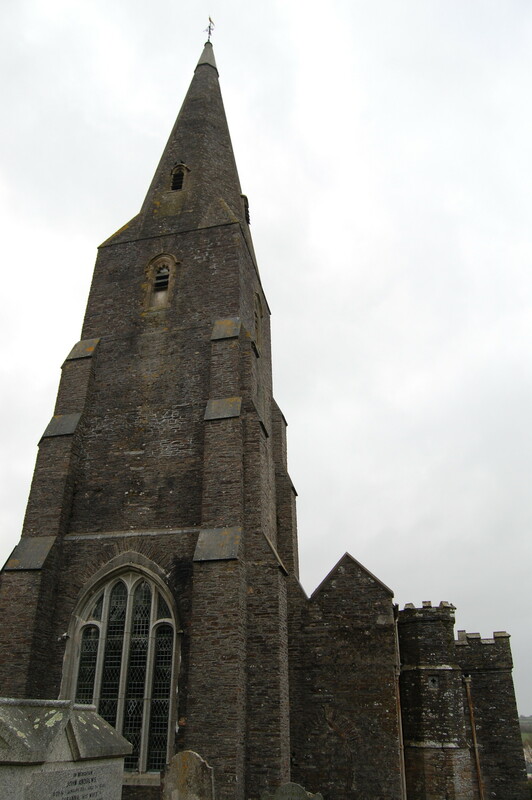 Now that the family were dealing with France, often the south west area, it is understandable that the French sounding Prideaux was used more regularly. It is the business line of the de Pridias who continued the Prideaux name, where other career choosing family members often remained with versions of Pridias. I believe that this time was when the name changes separating the clan properly began. Giles mother Joan of Adeston, died in 1373. It is probable that she had some idea of her coming fate and ensured that everything was signed over to her son a year prior. Perhaps she had some difficulty passing the inheritance on prior to that date. On the political front changes were taking place. The Knights and Burgess joined together to form the House of Commons. The abbots and bishops sat with the secular Lords in York and Canterbury. Bishops were increasingly men who had achieved high office as servants of the Crown, or at the Papal Court in Rome. Some members were members of the aristocracy whose political services would be rewarded by a bishopric. They did not need to have any religious training. God would not have made them rich if he didn’t think that they were better than everyone else, so the belief of the time went. Some nobility took the responsibility seriously and some merely looked after themselves. Following is a copy of some documentation to do with Giles and Isabella. CP 25/1/44/61, number 409. County: Devon. Place: Westminster. Date: One week from the Purification of the Blessed Mary, 47 Edward III [9 February 1373]. Parties: John Langebroke, the vicar of the church of Ermyngton’, and William Langebroke, querents, by John Boron’, put in the place of William, and Giles Pridiawes and Isabel, his wife, deforciants. Property: 1 messuage, 2 ferlings of land and 1 acre of meadow in Ermyngton’. Action: Plea of covenant. Agreement: Giles and Isabel have granted to John and William the tenements and have rendered them to them in the same court, to hold to John and William and the heirs of the body of William, of the chief lords for ever. In default of such heirs, the tenements shall remain to the right heirs of John. Warranty: Warranty by Giles and Isabel and the heirs of Isabel. For this: John and William have given them 100 marks of silver. The reader will note that the name is written as Pridawes, perhaps showing how the name was spoken. If we use the Cornish or Welsh pronunciation of the ‘awes’, it would rhyme with mouse. The Crown was having the usual turmoil. Richard II was childless and his cousin Henry IV stole the throne and he was followed by his son Henry V. There were so few male heirs throughout the gentry from this time until the 1600’s that all the castles in Cornwall fell into disrepair and rubble. Tintagel, Restormel and Trematon went from occupied homes then to prisons and finally ruins. Now was the time of 100 Years War and constant challenges to the throne. There is no evidence that Giles supported the House of Lancaster but he also did not fall foul of the Earl of Devon like his cousin Sir John Orcharton. This cousin had killed William Bigbury and lost most of his estates. The House of Adeston was also on goods terms with the courts of Henry IV and then Henry VII. Giles was a true politician. He made friends with whomever was in power. This way of thinking continued through the following Adeston generations, as they increased their standing through excellent marriages and the increase in wealth through business. As the 14th century began, there were about a dozen hereditary earls and 3000 owners of land worth £20 or more. But, as the century came to a close, many families had fallen from noble status. These families then relied on their coats of arms and their rank as Knights in order to rank above esquire, gentleman and then yeoman. Yeomen were the only ones to work their own land. The Prideauxs were nobility at the beginning of the 1300’s, but by 1400 they were struggling to remain as Knights. They had to make good marriages and accumulate wealth that way. This is probably why some of the men such as Giles decided to encourage the use of livery. Sometimes the poor youngest sons, who had little or no inheritance, became yeoman and later stonemasons and carpenters. The nobility had to attach themselves to higher Lords in order to maintain any sort of status. Roy Prideaux discovered documents which showed that Plymouth was plundered in 1403 by a Breton raiding party from St Malo. In 1404 another raiding party was so successfully beaten at Dartmouth that Henry V celebrated with Te Deum at Westminster Abbey. Giles then obtained license to proceed to Aquitaine and soon followed up the British success. His manor and lands were in an excellent position geographically to help with and organize the Aquitaine trade route. This was followed up to greater financial success by his son Sir John. One assumes that Giles died sometime prior to 1415, when John had license to travel abroad with Henry V. We shall continue his tale in the following chapter. I have settled upon 1410. 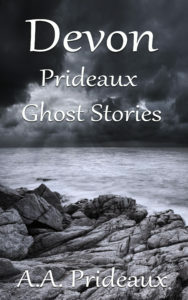 Sir Giles features in the story Ghost Ship in the book Devon Prideaux Ghost Stories.